• The juice pack battery case features a built-in 2,525 mAh battery that can deliver enough power to extend the life of your phone up to a total of 38 hours. * You’re free to make that call, send that pic, and listen to one more podcast episode. 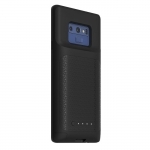 • The juice pack battery case is compatible with mophie wireless charging pads and other Qi wireless systems including those commonly found at airports, cafes, or any location where Qi wireless charging is available. In addition, the juice pack battery case maintains your phone’s wireless charging functionality. • The slim, lightweight design of the juice pack battery case fits so comfortably in your hand, you’ll forget it has a built-in battery. You don’t have to sacrifice style and convenience for on-demand power. • The powerful juice pack battery case provides additional protection for your phone with a micro suede interior that prevents scratches and minimizes impact damage. 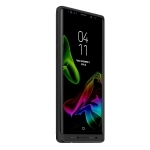 Raised corners on the case help prevent scratched and cracked screens. • Use the cable included with your phone to connect to a wall charger or computer to recharge your juice pack battery. 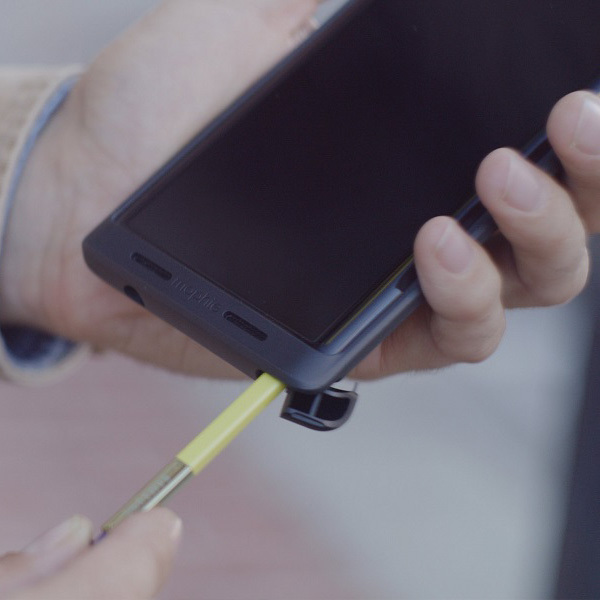 mophie Priority+ charging allows pass-through charge and sync while connected to a power source or computer. Your phone recharges first, and then the juice pack battery recharges itself. • Turn the juice pack battery case on and off with the LED Status Indicator button, or momentarily press the button to display the battery level or charge status.